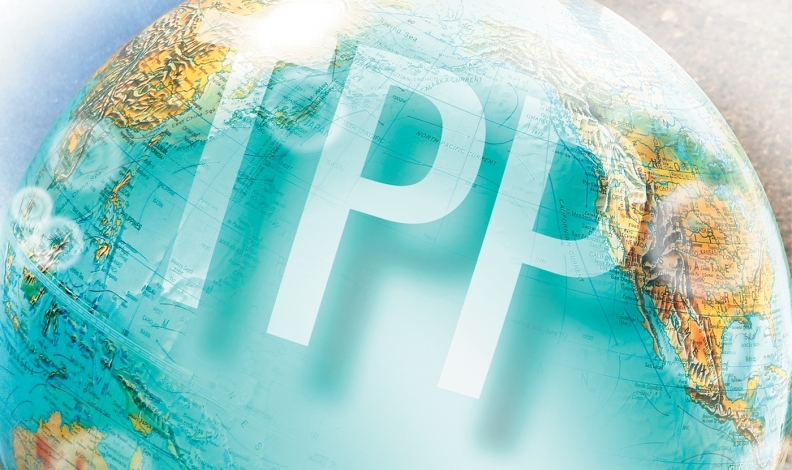 How does Canada fare under the Trans Pacific Partnership? The TPP is an expansion of the Trans-Pacific Strategic Economic Partnership Agreement that was signed by Chile, New Zealand, Brunei and Singapore in 2005. Beginning in 2008 more joined in talks for a broader agreement: Japan; Australia; Canada; Malaysia; Mexico; Peru; the United States; and Vietnam. China is not part of the TPP. The Trans Pacific Partnership (TPP) will likely hurt Canada's auto sector, but how much? Industry experts are split on whether that impact will be significant. What they do agree on is this: if the U.S. ratifies the TPP, Canada will have little choice but to also join in the 12-nation Pacific Rim free-trade agreement. "The negative consequences of us being outside the deal are far worse than the negative consequences of the deal itself," said Jay Myers, president and CEO of the Canadian Manufacturers and Exporters. Losing equal access to the markets participating in the agreement — particularly the U.S. market — would erode the competitiveness of Canadian businesses, he said. Critics say the deal has three main problems: loosened rules of origin which govern how much of a car or a part can be built outside Canada; a toorapid elimination of Canadian tariffs; and no provisions to prevent currency manipulation. In the deal, Canada agreed to eliminate tariffs on Japanese cars and trucks in five years. Meanwhile, the U.S. cut a separate deal with Japan that eliminates duties on light vehicles and trucks in a 25-30 year time frame. Flavio Volpe, president of the Automotive Parts Manufacturers Assn., called the differing tariff reduction schedules an "incongruent challenge" and "unfair," to small and medium size Canadian parts manufacturers. But he said the geopolitically motivated TPP is also an opportunity for large Canadian multinational parts suppliers to chase new customers in developing markets. He said opinion is divided on whether Canada might be able to reopen negotiations and level the playing field between Canadian and U.S. tariff reductions. Trade union Unifor economist Jim Stanford said the deal is potentially damaging and he wants Canada to try to fix it. He said the elimination of duties and reduced rules of origin are a disincentive for automakers to build in Canada. Stanford said Canada should renegotiate the duty reduction and might get the chance if U.S. President Barack Obama doesn't win the domestic political support he needs to ratify the deal. "We are trying as hard as we can to nail down new investment and new product mandates in several key Canadian plants," said Stanford. "The fact that those products will be more exposed because of a unique Canadian trade concession to competition from Japan is both bizarre and attracts unwanted critical attention to the Canadian plants." He said Canadians buy about 150,000 vehicles a year from Japan while exports in the other direction are mostly nonexistent. The elimination of a 6.1 per cent tariff on imported vehicles would "clearly" allow Japanese automakers to sell more, he said. While the elimination of a 6.1 percent tariff on imported vehicles might allow Japanese automakers to sell more in Canada, Ray Tanguay, former chairman of Toyota manufacturing in Canada, doesn't think that the TPP will "have a big impact." Stanford was more concerned about reductions in rules of origin requirements. The North American Free Trade Agreement (NAFTA) required a minimum 65 per cent of a finished vehicle be constructed within the trade zone. The TPP calls for only 45 per cent.Stanford said the lower limit would allow Japanese automakers to source parts from countries with lower wages. North American automakers looking to maintain an even playing field will likely follow suit, he said. Automotive analyst Dennis DesRosiers said the deal will crimp the sector, but unlike Stanford he said the effect would be slight. Tariffs on parts are already low and don't apply to Japanese vehicles built in Canada, he said. "Consumers win. Most of the original-equipment parts sector loses slightly. A small part of the OE parts sector wins slightly in Canada. Detroit-based companies lose a little bit. Japanese-based companies pick up a little bit and our plants become more vulnerable," said DesRosiers. 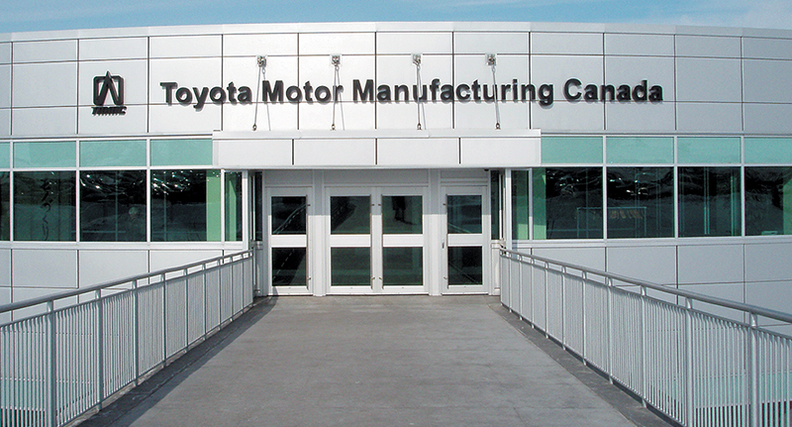 Canada's special automotive adviser, Ray Tanguay, the former chairman of Toyota Motor Manufacturing Canada Inc., agreed with DesRosiers and said Canadian companies are competitive. "I don't think it will have a big impact," Tanguay said. "The biggest impact is probably in the supply chain and we've had zero tariffs here in Canada for a long time. Under the NAFTA agreement there are no tariffs for parts coming into the country. "From an investor point of view you have to make cars where you sell them," Tanguay said. "You want to make sure that you reduce the risk associated with currency or politics." Continuing protectionism is not an option in his view. "[For] any country that uses protectionism, it's just a short term Band- Aid. "Long term, you have to compete."